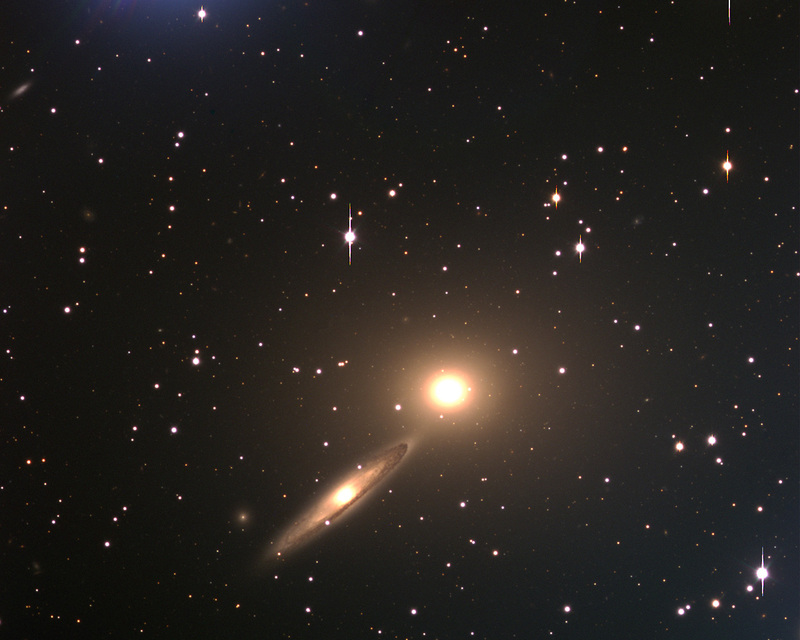 A pair of galaxies NGC 5090 - 5091 in Centaurus is shown in this image. 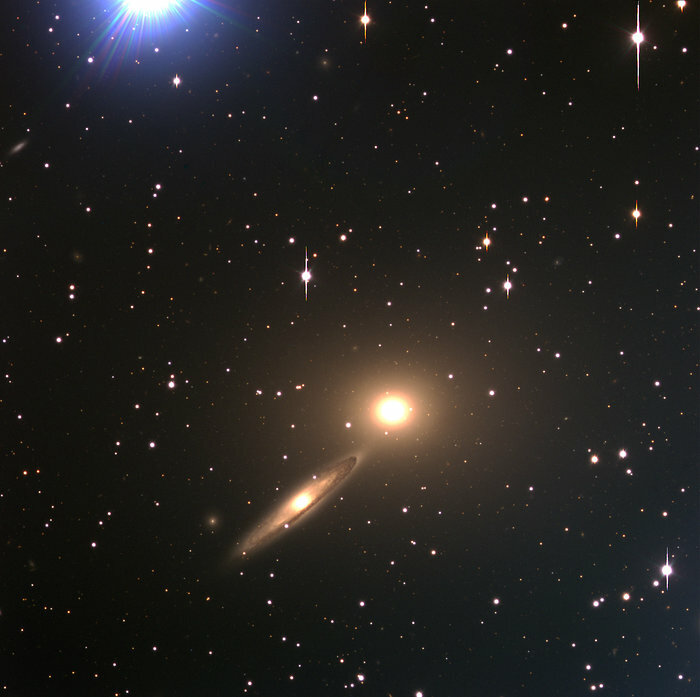 They are located at about the same distance as ESO 269-57 and may belong to the same cluster of galaxies. 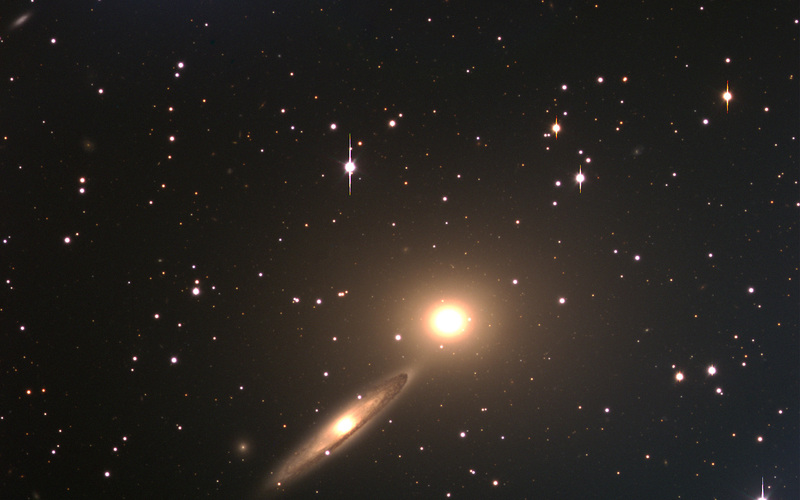 This is an interacting elliptical-spiral system with some evidence of tidal disruption of NGC 5091 (to the left; seen under a steep angle) by NGC 5090 (to the right). The velocity of the nucleus of NGC 5091 has been measured as 3429 km/sec, while NGC 5090 has a velocity of 3185 km/sec. 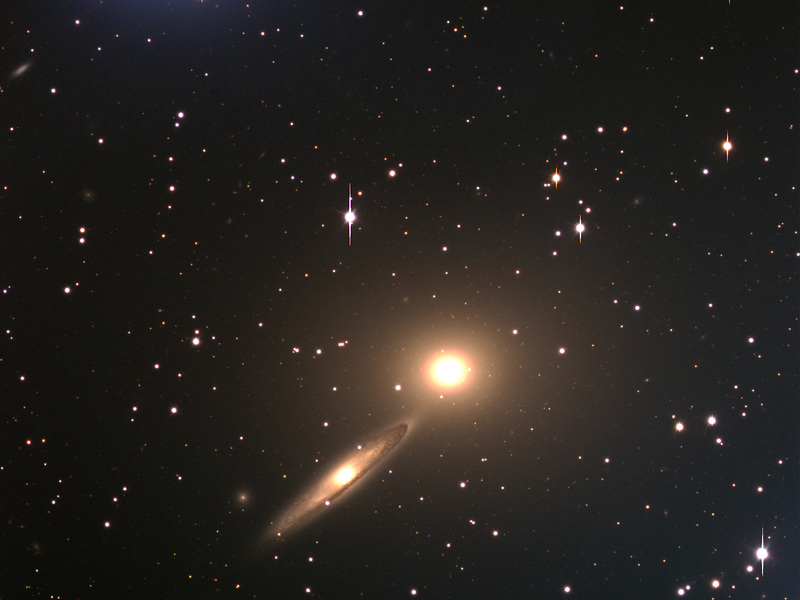 NGC 5090 is associated with a strong, double radio source (PKS 1318-43). This three-colour composite (BVR) was obtained with VLT ANTU and FORS1 in the morning of March 29, 1999. A bright star in the Milky Way, just outside the field at the upper left, has produced a pattern of blue straylight. The field size is 6.8x6.8 arcmin 2. North is up and East is to the left. Position (Dec): -43° 43' 23.98"